Pain of any kind, at any age, is a sign that something is wrong. Pain is the way your body signals that a limit has been reached or a problem has developed. Since we can adapt, minor aches and pains are often shrugged off. 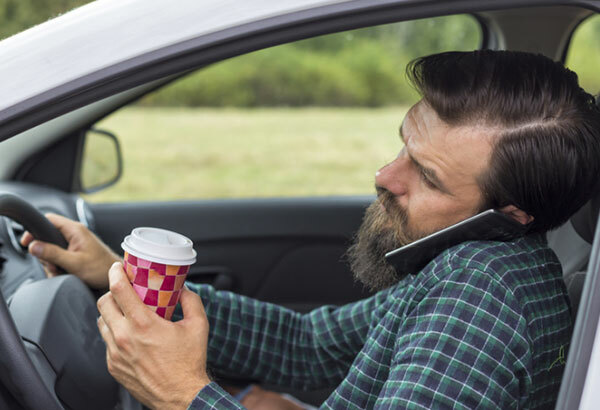 While the pain may seemingly go away, if the underlying problem remains unattended, the problem may slowly worsen until it becomes more difficult and expensive to resolve. Some people silence their symptoms with a pain reliever and ignore the message. But that would be like removing the battery to silence a smoke detector! 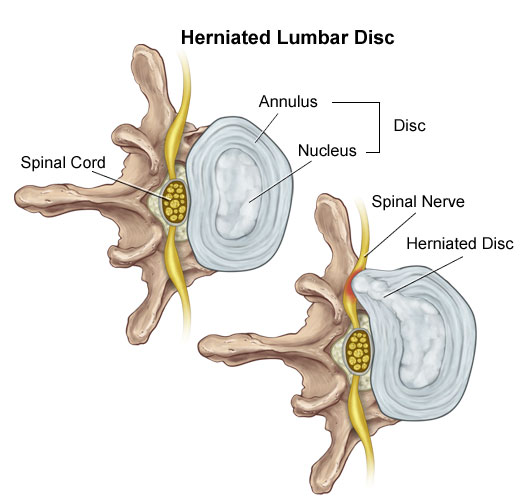 A herniated disc refers to a problem with one of the rubbery cushions (discs) situated between the individual bones (vertebrae) that stack up to make your spine. 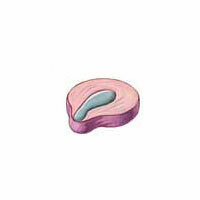 A spinal disc is a little like a jelly doughnut, with a soft centre encased within a tougher exterior. Sometimes called a slipped disc or a ruptured disc, a herniated disc occurs when some of the softer “jelly” centre pushes out through a tear in the tougher exterior. 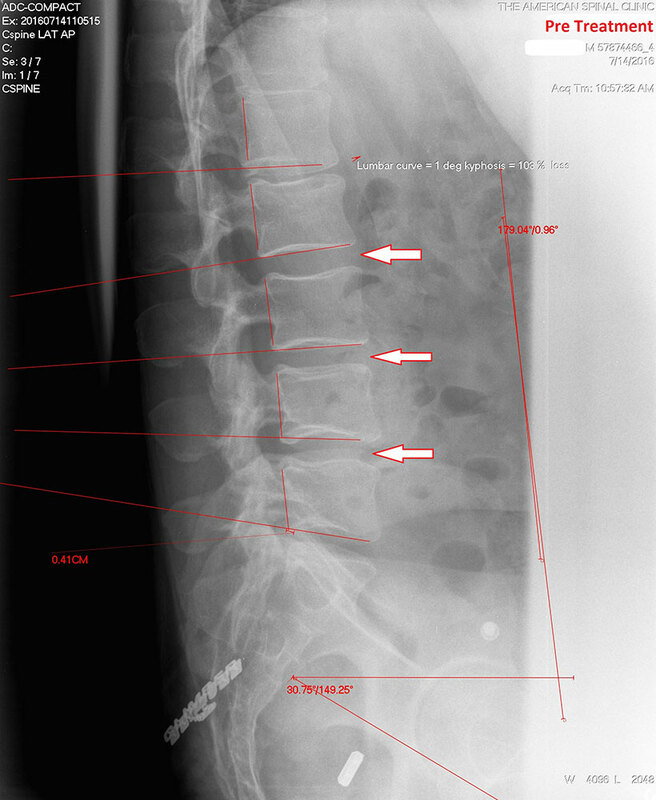 The discs between the vertebrae are composed of an annulus fibrosus and a nucleus pulposus. 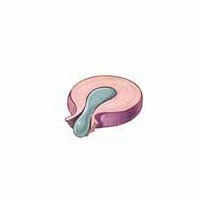 The nucleus pulposus is the inner core of the vertebral disc and is composed of a jelly-like material that consists mainly of water. 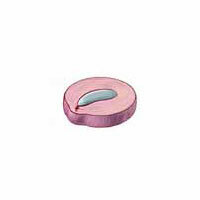 The annulus is an outer fibrous layered ring which surrounds the inner jelly-like centre, the nucleus pulposus. Spinal motion at a segmental level is required to facilitate the fluid circulation and the cycle of waste and nutrition exchange. 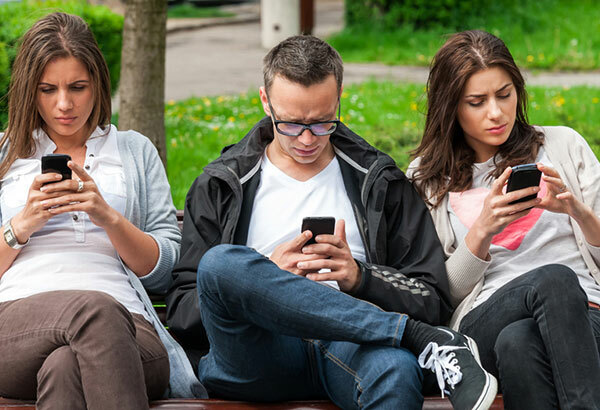 Throughout our lives, we have physical stress on our body, some being acute such as falls, traumas, accidents and others which can be chronic such as sitting for long periods, working at a desk for long periods, using computers or phones or even just standing for long periods. These physical stresses may cause us to lose our normal alignment and the spine is placed in a weakened position. 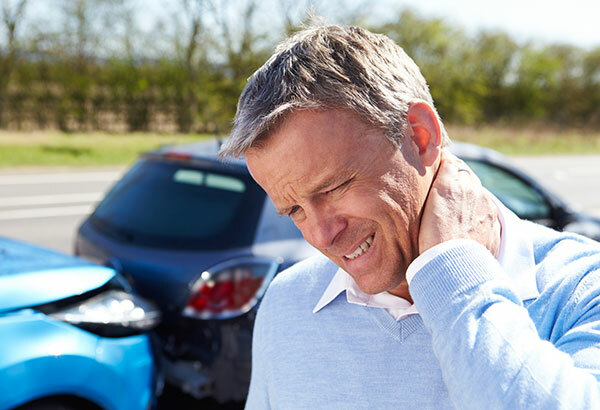 At first, this causes no pain but, as the spinal structures are continuously abnormally loaded, they begin to break down leading to spinal damage and eventually the development of pain and functional loss. Asymmetrical loading of the disc as a result of abnormal alignment causes nuclei pulposi to shift, creating a concentrated pressure to eventually break down the annulus fibres. Decreased motion of the disc and joints prevents hydration and nutrient metabolic waste exchange causing dehydration and the development of discopathy (protrusion/ herniation). 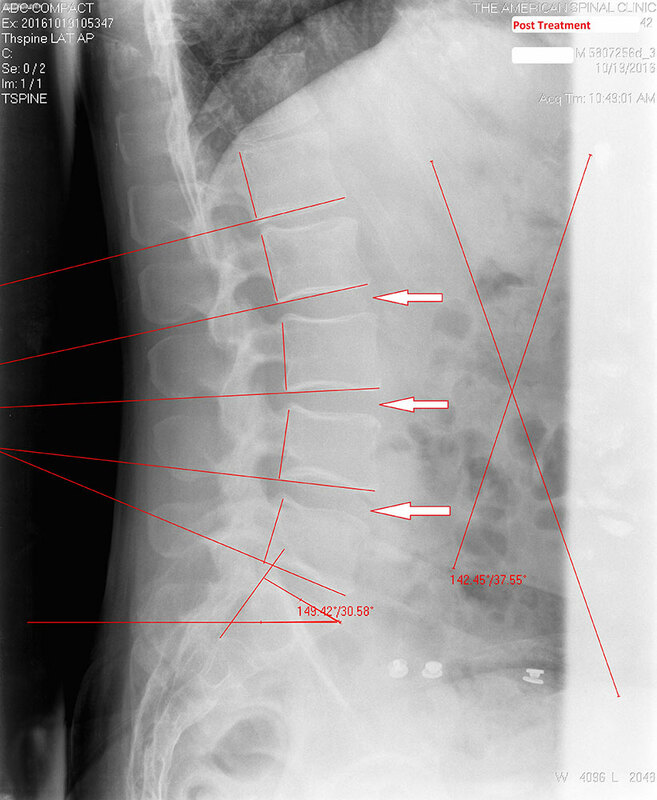 X-rays of a patient with lumbar discopathy. The patient had low back pain, radiating pain, numbness and tingling down the legs. 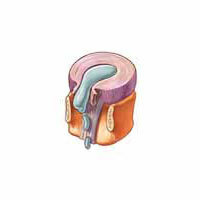 After the treatment course, the patient has significant improvement symptomatically, structurally and functionally.